According to legend, Lord Shiva's consort Sati once burnt herself alive in Yagna to avenge an insult to Lord Shiva. 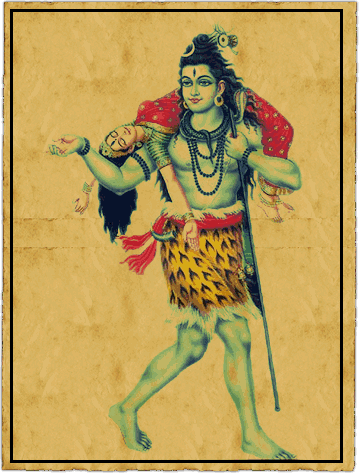 The distraught Shiva picked her corpse and gyrated his horrified dance. Then Lord Vishnu unleashed his Chakra and cut the Sati's body into fifty one pieces to save theearth from Shiva's wrath.All the fifty one places -where parts of Sati's body fell, became known as Shakti PeethsIt is believed that Sati's eyes fell at the place where this temple is situated. Therefore, this temple is called Naina Devi.The word Naina is synonymous with Sati's eyes.Since then, devotees started visiting this temple. According to the Puranic legend, Lord Brahma mentally created ten sons,"manasa putra", to carry out his task of creation and destruction. This had resulted in the creation of Shiva and Daksha but Shiva had superior powers. 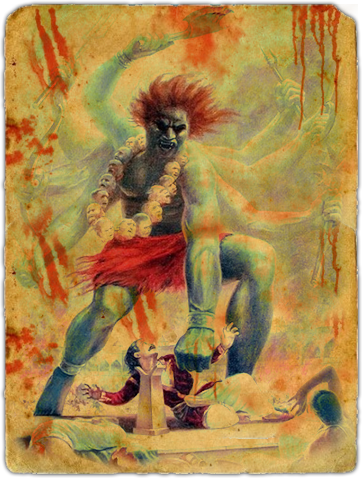 Irked over Shiva's supremacy, Daksha took the former as his rival. Daksha had a beautiful and virtuous daughter called Sati.She was a great devotee of Shiva.Most of the time Sati immersed in the thoughts of Shiva and dreamed of being his wife. 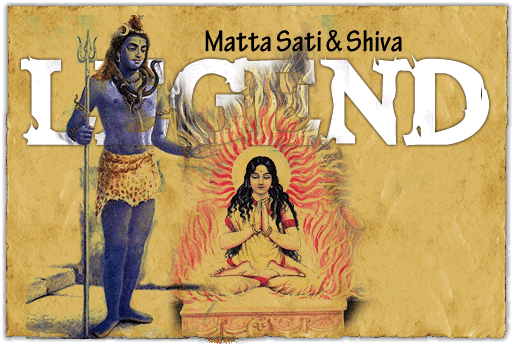 Sati's sincere and devotional prayers made Shiva finally appear before her. He asked her to choose a boon. He knew what Sati would ask but wanted her to speak for herself. 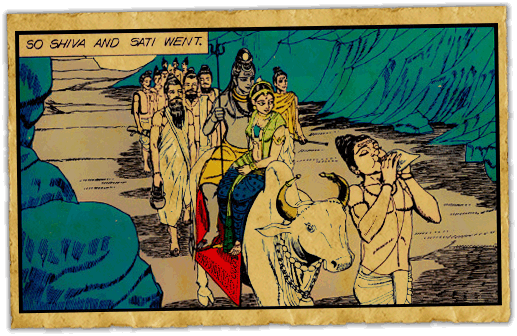 After overcoming the hesitation Sati revealed her desire, which was readily granted by Shiva. Soon Sati was married to Shiva amidst numerous gods and goddesses.Shiva and Sati then went to the Mount Kailash where they spent many a happy days. One day Shiva went to Prayag, today's Allahabad, to attend a "yagna", a fire-worship ceremony. 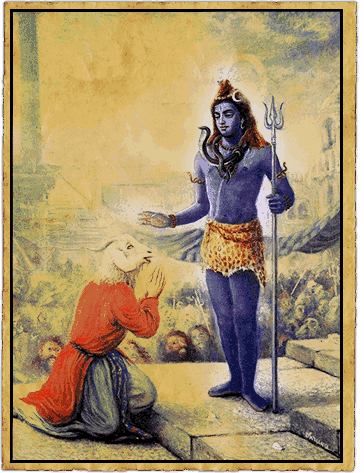 When Shiva entered the yagna hall, every one stood up to pay him respect. After some time Daksha entered the Yagna hall. Everyone stood up to pay respect except Shiva. 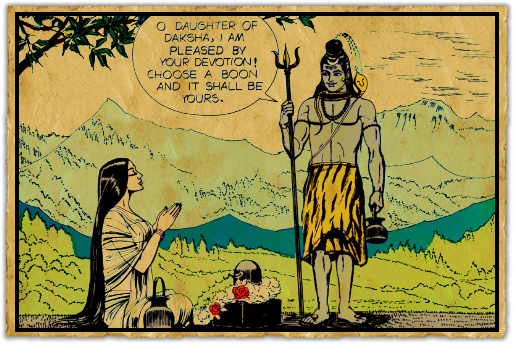 Daksha felt insulted.Being a superior power Shiva did not want to harm Daksha by standing up before the latter. So in a word, Shiva did not mean to insult Daksha.To teach Shiva a lesson, Daksha announced a grand sacrificial ceremony at his home. Barring Shiva, he invited all gods and goddesses to the occasion. 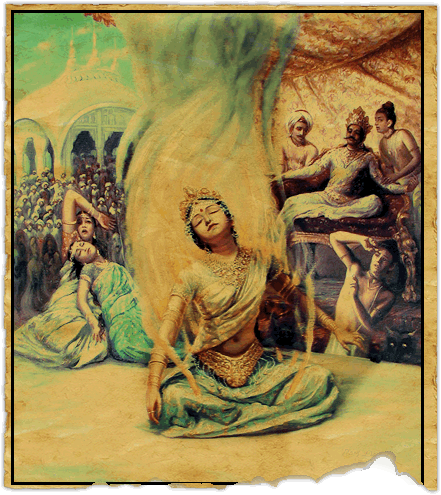 Against Shiva's wishes, Sati attended this sacrifice and was insulted by her father. An insulted Sati consumed herself in a fire and returned to mother Earth. When news reached Shiva that his beloved wife was dead, he let out a mighty roar that shook Heaven and Earth. 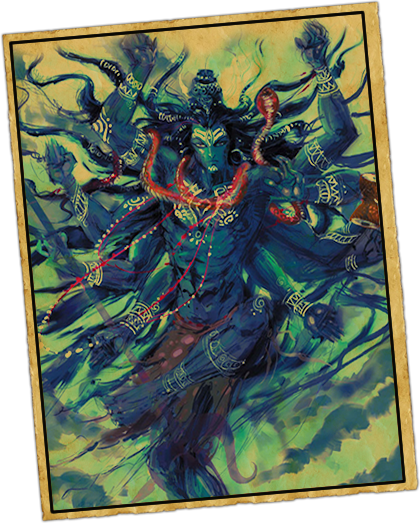 He destroyed Daksha's ceremony by a huge army of demons. Shiva was about to destroy the universe, when Brahma came with other gods to calm him down. All the gods soothed the furious Shiva and pleaded with him to forgive Daksha and allow him to complete thesacrificial ceremony, which he had started, otherwise he would go to hell. Relenting, Shiva brought back to life all the people who had been killed. Finally he looked up, suppressing the power of his destructive third eye, and stated, "I will return Daksha to life, but he must bear the mark of his foolishness forever. 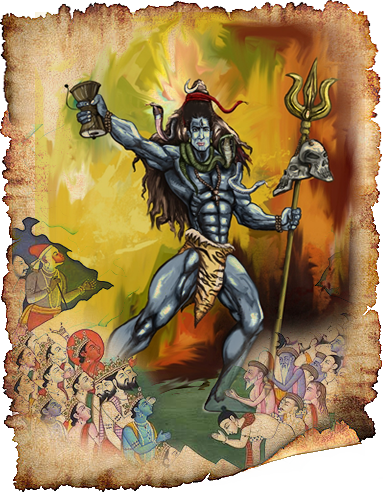 "The gods agreed to Shiva's condition and Daksha was revived. The mark of his foolishness was clear for all to see for instead of his own head, he wore the head of a goat. Daksha finally acknowledged Shiva's supremacy falling at the latter's feet. Still crazed with grief, he picked up the remains of Sati's body, and danced the dance of destruction throughout the Universe. The other gods intervened to stop this dance, and the chakra of Vishnu cut through the corpse of Sati into fifty one parts,whose various parts of the body fell at several spots all through the Indian subcontinent and formed the sites of what are known as Shakti Peethas today. It is believed that Sati's eyes fell at the place where this temple is situated. Therefore, this temple is called Naina Devi.